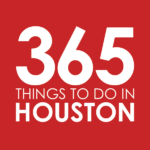 In our series of Must Do Things Around Greater Houston, we take a closer look at Houston’s vast array of neighborhoods to bring you five fun, tasty, and enticing reasons you should give each a visit. From must-see museums and vintage shops featuring local goods to top fine dining eateries and dingy dives dishing out with the best burger, take a trip through Houston with us, ‘hood by ‘hood. Originally published in 2016, we are now refreshing, updating, and adding to this series, including new neighborhoods and destinations. Named after pear trees abundant in the area in the 1890s, the third largest city in the Houston MSA is getting more enticing by the day. From the city’s best barbecue to an extraordinary temple, check out our five Pearland must dos. Enjoy a traditional German feast at King’s Biergarten – You may do a double take as you drive by this castle looking structure off of Broadway. But you really should loosen your lederhosen and step inside, because every day is a party at this traditional German biergarten. Feast on gravy-smothered jaegar schnitzel, a laundry list of scratch-made bratwurst, and a mammoth roasted pork shank fit for a king AND a queen – all while enjoy a couple liters of German bier, of course. You can even bring the kids along, as they’ll love the giant German pretzels, mini brats, and schnitzel fingers. And as if that’s not all cool enough, it also rocks a killer brunch. Click here for directions. Sip suds at Bakfish Brewing Company – Opened in 2016 by a couple of good friends and rocking a 2,000 square foot air-conditioned tap room and covered patio, Bakfish is Pearland’s first microbrewery. Hit this family and dog-friendly spot to taste beers like the All Y’all Texas Golden Ale and the Defying Gravity Double IPA, or grab cans and growlers to go. Be sure to look out for a lineup of pint nights, trivia and special events. Click here for directions. Get the gold standard of ‘q at Killen’s Barbecue – Chef Ronnie Killen’s namesake smokery is widely regarded as Houston’s best barbecue, but you’ll have to try it and judge for yourself (fans of beef will want to check out Killen’s Steakhouse and Killen’s Burgers, too). Don’t be scared by the potential line, because one bite of the monster-sized beef ribs, flawlessly executed fat-melting brisket, and killer fried chicken will convince you it’s worth your time. Plus, there are free kegs on to “assist” with the longer waits over the weekends. Click here for directions. Feast your eyes on the Sri Meenakshi Temple – Inspired by the grand Meenakshi Temple in Madurai, India, this majestic temple dedicated to the Hindu goddess Meenakshi stands out from its surroundings. Take in the ornate marble carvings, soaring ceilings, and beautiful sacredness of the temple complex. The visuals will feed the mind and soul, but if you’re hungry, they also sell a mean vegetable samosa. Click here for directions. Dig into Vietnamese crawfish at LA Crawfish – The Asiatown staple (with multiple locations around town) has opened up a spot in Pearland. Hit it to get Cajun-Asian mudbugs soaked in garlic butter and spices alongside house favorites like crawfish pho, seafood po’ boys, and beignet. Click here for directions.